In October, public support for the ruling "Farmer" party declined, however despite significant criticism, PM Saulius Skvernelis' support remained stable and confidence in the cabinet even grew, Spinter Tyrimai data shows. A survey performed by the public opinion and market research company Spinter Tyrimai on October 16-30 commissioned by the Delfi news portal has shown that support for the Lithuanian Farmer and Greens Union (LVŽS) has declined above a statistically significant margin. With this, the gap between the Conservatives, who stably remain first, and the "Farmers" has increased. Sullen mood in the “bottoms” camp: who could win the presidential elections? In September, the Homeland Union – Lithuanian Christian Democrats (TS-LKD, Conservatives) ratings were at 19.2%, while the LVŽS were at 18.3%. In October, the ratings were respectively 19% and 15.2%. 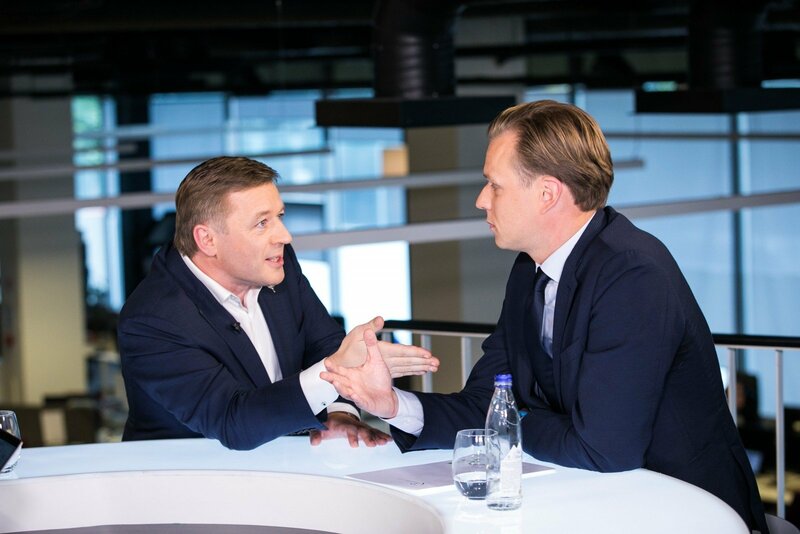 Spinter Tyrimai head Ignas Zokas agreed that the LVŽS ratings change is a significant shift in the October survey, however he was wary of overvaluing it. "Everything may balance out again next month," I. Zokas cautioned. He also pointed out that the LVŽS delegated prime minister's ratings remain stable. In September, he had the support of 18.4% of respondents, while in October – 18.5% and remains among the most supported public figures in regard to suitability to hold the prime minister's office. Summing up the positive and rather positive ratings, the cabinet's rating has actually grown 5.2%, from 24.6% in September to 29.8% in October. I. Zokas says that it so happens at times that fierce criticism of someone or something may create an opposite reaction. He did not dismiss that this could be the case with the cabinet's ratings now. The sociologist also highlighted that Order and Justice is growing its electorate. The party's ratings were at 7.2% in September and rose to 9.2% in October. Also he noted that currently the classical social democratic party is more successful, with Gintautas Paluckas' Social Democratic Party growing its ratings from 5.4% in September to 6.2% in October, while Gediminas Kirkilas' Social Democratic Labour have decreased from 4.4% to 3.5%. The ratings of other parties beneath the cut-off for entry to Seimas did not have any major changes. The Labour Party's support was 4.7% in September and 4.6% in October, the Liberal Movement's – respectively 4.5% and 3.4%, the Electoral Action of Poles in Lithuania – 4.5% and 4.3% and the Lithuanian Centre Party – 3% and 3.3%. In September, 4% of respondents would have voted for a different party, this increasing to 5.2%. Respectively, 12.8% and 14.8% would not vote, while 12% in September and 11.3% in October do not know, who to vote for. Vilnius University Institute of International Relations and Political Science professor Ainė Ramonaitė did not dismiss that the decline in "Farmer" ratings could be linked with the party's Seimas group member Vytautas Bakas' criticism toward the party's executives. "It could be linked to certain internal disagreements. V. Bakas, who is seen as S. Skvernelis' man, has said a number of critical things. Perhaps this is linked to it," A. Ramonaitė stated. In regard to "Farmer" voters, the political scientist stated that they occupy a broad spectrum. The party has garnered support from the electorates of various other parties and most of all from among those, who previously supported the Social Democrats. "But you cannot say that these are some sort of protest voters because they aren't all that disappointed in the system. They are more disappointed with the ruling party's actions, but these are not the angriest people. Such ones were more inclined to not vote at all or voting for different parties," A. Ramonaitė said. According to her, it is currently hard to speak of any sort of stable "Farmer" electorate because up to the 2016 elections, they never had such support. However it is observed that a part of the voters emotionally associate with the party, rather than just voting for the sake of voting. "You can assume that this part of people will remain with the party because they can even interpret the negative messages in media in their own way," A. Ramonaitė said. The political scientist does not believe that the Conservatives have much potential to siphon a significant portion of those disappointed with the "Farmers". "The TS-LKD always had the problem of being disliked by many mostly older people in the province and whatever they do, they will never draw these people to their side. It is hard to expect that any significant part of the "Farmer" electorate could migrate to the TS-LKD. These electorates are quite distinct," A. Ramonaitė said. The political scientist linked the Order and Justice ratings growth with the Labour Party's decline. Their electorates are particularly overlapping. "The Labour Party's popularity has diminished completely, thus those voters have to go somewhere and perhaps the Order and Justice Party appears the most acceptable option for them. On the other hand, Order and Justice are actively operating in certain areas. Perhaps that also brings them up," A. Ramonaitė stated. The Social Democrats leading over Social Democrat Labour seems logical to the political scientist. "From what you see after the 2016 elections – the Social Democrats were backed by faithful supporters of the party. Some of them say that they voted for the party for a long time, so they will continue to. It is a matter of habit. They support the party as an institution, not as separate figures," A. Ramonaitė said. Among public figures seen as most suitable to be prime minister, S. Skvernelis remains first, with support of 18.5% in October, compared to 18.4% in September. In second remains TS-LKD leader Gabrielius Landsbergis, whose ratings stand at 9.5% in October, compared to 9.7% in September. In third is MEP VIlija Blinkevičiūtė, with respectively 6.1% and 4.8%. 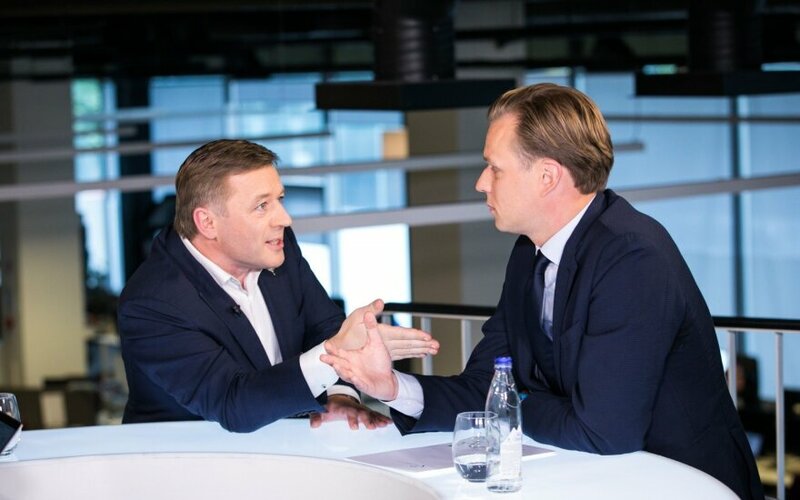 In fourth is Gitanas Nausėda, with ratings respectively at 6% and 6.2%, in fifth – Ramūnas Karbauskis with 5.6% and 4.9% and MP Algirdas Butkevičius – 4.7% and 5%. During the month, the number of positive or rather positive evaluations of the cabinet rose from 24.6% to 29.8%, while negative and rather negative evaluations decreased from 68.5% to 65.4%. In September, 6.9% of respondents did not know how to answer or did not answer this question. In October, the number of such responses decreased to 4.6%. The public opinion and market research company Spinter Tyrimai performed a public opinion survey on October 16-30, 2018 on commission by the Delfi news portal. Residents aged 18 to 75 participated. The survey was performed as a standardised interview. The survey was performed in 65 locations across Lithuania, distributed to represent the country's entire territory. 1005 respondents were interviewed. The distribution of survey takers is proportionate to the number of residents in the country's regions. The error margin is 3.1%.